Interpol Agent Louis Salinger (Clive Owen) and <?xml:namespace prefix = st1 ns = "urn:schemas-microsoft-com:office:smarttags" />Manhattan Assistant District Attorney Eleanor Whitman (Naomi Watts) are determined to bring to justice one of the world’s most powerful banks. Uncovering myriad and reprehensible illegal activities, Salinger and Whitman follow the money from Berlin to Milan to New York to Istanbul. Finding themselves in a high-stakes chase across the globe, their relentless tenacity puts their own lives at risk as their targets will stop at nothing – even murder – to continue financing terror and war. 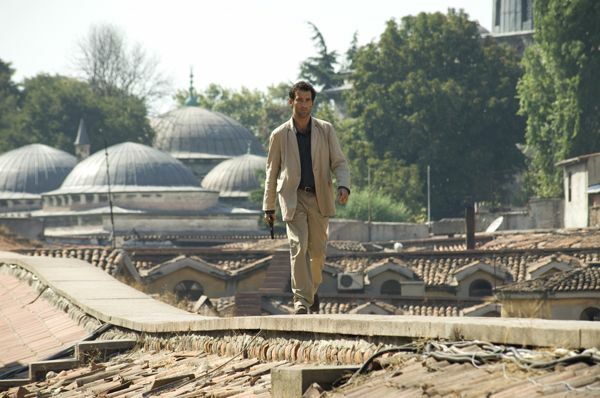 Directed by Tom Tykwer (“Run Lola Run”), “The International” was shot on location in Germany and throughout Europe. About a week ago I got to interview Clive Owen and Erico from Omelete got to interview Naomi Watts. During our interviews, the two stars talked about filming the movie and I asked Clive what’s up with “Inside Man 2” and “Sin City 2”. Take a look. Finally, click here to watch some movie clips from “The International”.